I went for my first appointment of the tailor made start-up package at her clinic in North London. Michelle was very friendly yet professional and instantly made me feel at ease. After we had been through an in-depth questionnaire about my medical history, eating habits, exercise program and general daily activity, various measurements were taken and calculations made. These measurements and calculations gave me a basic medical profile. The three day food diary which I had recorded was analysed and some aspects of this were discussed in more detail. By the end of this section Michelle had managed to get a really thorough picture of my current nutritional in-take and how that looks like on a daily basis. This is when Michelle started to discuss the main areas of improvement which could be made and suggested quite a lot of foods and recipes which she felt would enhance my well-being and weight loss. About 4 days later I received a comprehensive pack which included a report on my current medical profile, a daily nutrition plan and a large collection of super healthy recipes which I could use. Along with this tailor made plan, I received great basic information about healthy nutrition. No matter what your level of knowledge on nutrition it is always good to reinforce and strengthen your commitment to eating what is good for you. Sometimes you do need reminders to keep you on track! Like I said at the beginning, this was my first initial consultation. I will be seeing Michelle for follow up appointments to revise and monitor my progress. The good news is I have lost 4 pounds already and I am only part way through my third week. I know a lot of this is to do with my fresh focus on nutrition and getting the right nutrients in my body at the right time to fuel my body effectively. I would highly recommend Michelle’s services (The Food Effect). Her approachable demeanour and no ‘fad food’ advice is really refreshing. I often find the world of nutrition has ‘foods of the moment’ which come and go and simply confuse people. 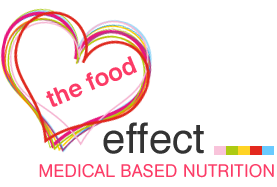 The Food Effect’s advice will last you a life time and steer you on course for a long, happy and healthy life – that is the nutrition I am into! alittle off topic but im thinking of creating my own blog kind of like this one could you hit me up with en email with some advice thanks. Sure. 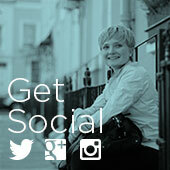 Drop me an email with your questions and I will try to help you! There are some basic things you should always bear in mind which should start you off on the right track.